It is interview season again! Whew, the academic year just keeps flying by. I'm posting this earlier this week because we are inviting all the ophthalmology candidates THIS WEEK! This is such a fun time for me as an academic ophthalmologist and fashion blogger because I hear from so many residents and med students looking for interview wear options! Last year I posted on conference and interview styles Part 1, Part 2 and Part 3 -- featuring some of my choices and those of my colleague (love!). I hope you will use these posts as some inspiration within your own wardrobe to put together a killer interview outfit. This year, I wanted to be a bit more practical so here are a few of my top choices for this interview season. My first suit was Ann Taylor and I still recommend their suits as a base. I recommend black, navy or grey. Buy the pants, the pencil skirt, the sheath dress and a great fitting blazer and you will have no trouble getting through the multiple-interviews-a-week-plus-travel medical school and residency circuit. 2) add a few colored tops like the Carmine from The Fold London and you will be all set. 3) A good set of neutral (black or navy) pumps is key. Keep them in the 75-90mm range for heel height (lower is ok too -- although height gives a sense of confidence -- but a taller heels is not suited for interviews). I'm loving Tamara Mellon these days. 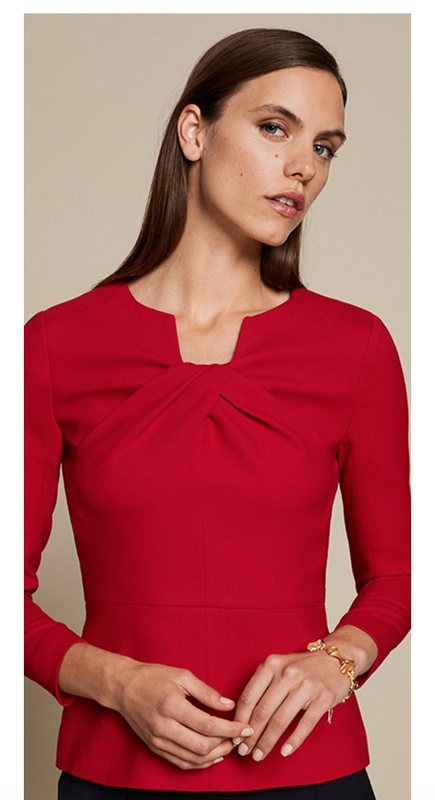 4) A sheath dress to wear under your black blazer is a great touch -- this is more appropriate for less conservative interviews for sure (job, not medical school). My go-to is always the Classic Jackie-O from Black Halo which looks as gorgeous under a blazer as it does as a dinner party. Navy with a navy pumps and a lighter blazer is a great look. 5) An interview bag -- black is generally the choice here but you could definitely pull off a light neutral tone too. I like the Rebecca Minkoff Regan (she does structured bags which I love). If you prefer a less-structured option, Cuyana makes gorgeous leather totes (even the 'structured' isn't really that firm though!). Or splurge on the Senreve Doctor's bag.